The story of Ageness starts in 1983 with the band Scarab, where Tommy Eriksson and Kari Saaristo played together. Scarab made a self-financed debut album in the same year and rapidly split up. Sometimes, they met each other and made some jam sessions and sometimes talked of a reunion. In 1991, they decided to go further than just talk. So Eriksson and Saaristo recruited two friends, Jari Ukkonen and Vesa Auvinen, to form a totally new band called Ageness. The band released their first single in 1992 and soon after that, keyboardist Jari Laasanen joined. In 1991, they decided to go further than just talk. So Eriksson and Saaristo recruited two friends, Jari Ukkonen and Vesa Auvinen, to form a totally new band called Ageness. 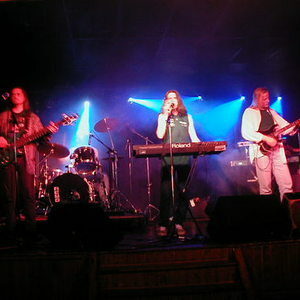 The band released their first single in 1992 and soon after that, keyboardist Jari Laasanen joined. 1993 would be a special year for the band: They played in front of 10,000 people at Kaivari Open Air Concert in Helsinki Festivals. Luck seems to be beside the band in the following years. They headlined the 1996 Colossus Prog Festival, gaining an impressive amount of critical acclaim. Guitarist Marko Karhu joined the band in 1997. Also in this year, the Finnish Broadcasting Company's FST did a 16-minute TV special, Imageness, including the songs "Line of Force" and "Metamorphosis" from their forthcoming new album. The French label Musea Records was very impressed and offered a worldwide license deal and released Imageness in 1998. In 1998, two big things happenined in the band's career: An official promo video, Fear, for their new album was released in the summer of 1998 and they also played at the Stoa/Colossus Prog Concert with John Wetton and Ritual from Sweden.